Is the Lycan Powerbox Solar Power Generator compatible with other solar panels besides the ones that Ronogy sells? Thank You. The Lycan Powerbox is going to be most compatible with their own solar panel, which can be found in the below link. 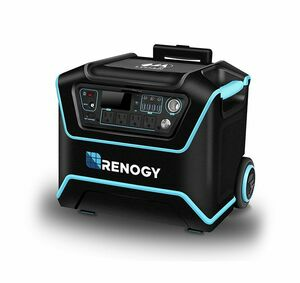 Renogy 100 Watt 12 Volt Foldable Solar Suitcase w/o Controller: https://www.earthtechproducts.com/renogy-100-watt-foldable-solar-panel.html If you are interested in incorporating different solar panels, please give us a call at 877-548-3387. Thank you for your inquiry!